Image Space Incorporated has released a new build of their rFactor 2 simulation, addressing a few issues as listed below. Added option to screenshot directly to clipboard, PLR file entry now called “Screenshot format”. Fixed heat haze bug for non-HDR mode. Fixed Modmgr bug where a deleted package file would still appear in list. No longer reset widescreen UI config parameter when applying graphics changes. – Switched to ‘WheelsIncludeAllTireMass’ fix. – Moved to UltraChassis with flex, and slightly better geometry. – Better motion ratios on account of newer push-rod parameters and slightly soften front ARB to what should be a more realistic level. – Misc tyre tweaks, more detailed lookup table and extra nodes should make them more accurate over a wider range of conditions. Wear has also been reduced. – More realistic front and rear brake fade characteristics. – Auto ignition-cut on upshifts. – Maximized under tray collision points (up to 12 from 6). – Increased CG (on account of better data). – Auto-clutch more useful (more aggressively adjusted). – Damage tweaks (slightly stronger suspension against mild contacts). 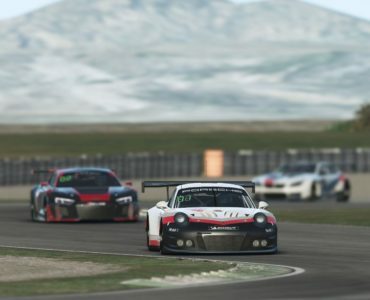 – Liveries replaced/updated/added, all built against an improved template. – Updated to use latest internal / external sound attenuation variables. – Updated to newest camera standard (centered bonnet cam, etc) and removed a couple excessive cams. – Minor AI tweaks to correlate slightly closer to player physics. – Removed some now obsolete lines. – Plus other miscellaneous tweaks. Both content items are available for download here. I’ll have to give the Clio a look. 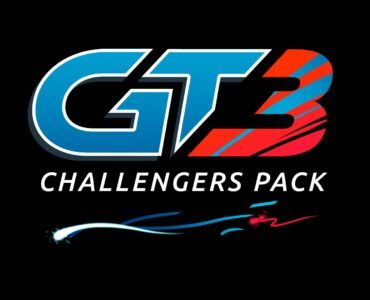 I did the upgrade and I downloaded and installed the Celica GTO and the Lester track (which is an awesome combo to drive, for those of you who have not tried it yet). The Celica won’t win any beauty contests but it’s fun to drive and I love the industrial setting of the Lester track. It looks like it would fit in nicely on the Noshar Canal map from Battlefield 3! LOL. Multiplayer racing and war games all mish mashed together :). Good comparison though, it really would fit right in. It’s good to see that ISI is getting around to refining cars that have been around for some time, but I do wish they’d focus on finishing one project before starting on the next. Nice improvements on the Clio, however. This topic seems to come up all the time with all the sims not just ISI. Developers don’t do content just as 3D modelers, 2D artists and car physics guys don’t write code. Regardless, what we currently have is a patchwork quilt of unfinished aspects of this title. It’s untidy and doesn’t help ISI’s image within the hobby. That said, it’s the best actual simulation out there, but not without fault as outlined. Well of course it isn’t perfect but complaining about patches is odd. rF1 was code frossen for 10 years without anymore patches and it still had TONS of bugs. TONS!! The new philosophy of constant development seems much better if you ask me. Not a complaint, an observation. Well your observation, at least how I read it was that they shouldn’t release content until other stuff is complete. Then you changed to complaining that everything is just patchwork. So I guess I’m totally confused about what your original point was. But whatever. No need to go back and for for 20 posts. You don’t read carefully enough. How is that changing context? Because they aren’t finishing things off before starting others it leads to a patchwork quilt of unfinished aspects. Enough of this, as you say, we’ll agree to differ. As the engine evolves sometimes older “complete” cars can be improved to take advantage of new engine improvements. Again, I am glad the content guys rehash old cars to bring them up to date to take advantage of engine improvements. Just as we would expect 3rd party modders to do. Call it patchwork if you want. But if you don’t like the evolving constant patchwork then you can rule out iRacing, rF2, pCARS and AC.. even GT5. So what is iR on now? NTM5? Not poking fun at iR.. just pointing out that they are evolving the product for the beter. It’s a good thing not a bad thing. A complaint, not an observation. Unfinished stuff is in every sim. No need to keep bringing this up. 7 up votes thus far suggests I’m not alone in thinking this. As far as I’m concerned it’s a legitimate criticism. This is exactly right. I definitely agree that rF2’s single greatest failing, and one that continues to do it serious harm, is its perpetually unfinished state. It seems like a genuinely unfinished piece of software. All the nuts and bolts are there ready to go, but it hasn’t been adequately assembled yet. Been awhile since i raced this car.. forgot how much fun it is. The update is very good you can fell the diffrence thats for sure ! I think Clio is a highly underrated car. It’s one of my favourites from RF2 and now is much better, and it provides races with a lots of fun. Totally agree with you. Clio is one of the best fun cars, that´s why we are going to start a championship with them. Off topic slightly, but I no longer can set the state of the real road ingame, anyone know how to fix this? It just gives me green for practice and naturally progressing for race. Liking this. Very good update to the cars. feels much more alive and responsive. 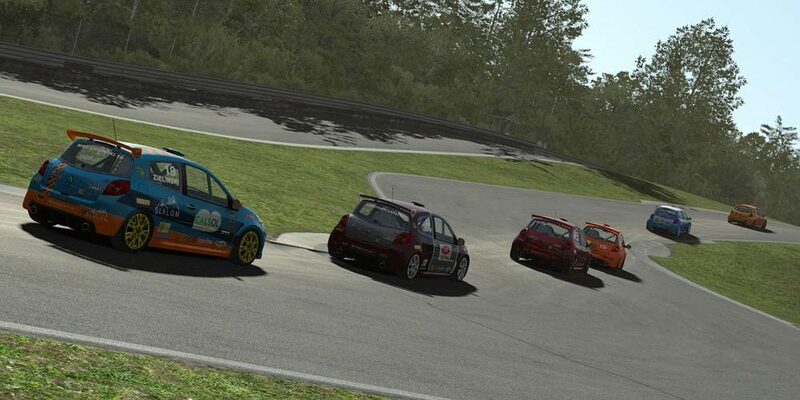 We have set an open server using New Clios on Limerock 2.0. Just look for Simjunkies and you are welcome to use it. Sorry if you tried to join but could not download. I had left a tiny error in the filename for the VMod. All working now. Really good job they’ve done on upgrading this motor. Not my cup of tea though being FWD. But I am always glad to see content/improvements, it shows they are committed to the longevity of this title. 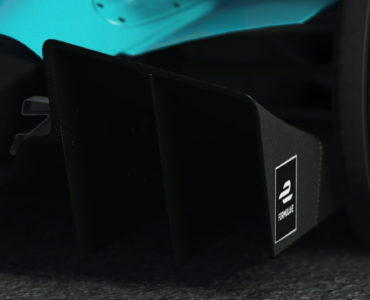 Id like to see some of the older tracks updated to Silverstones and Tigermoths quality, but I read somewhere (an interview on SimHQ i think) that they would avoid doing that if possible, I can only assume because a large job like redoing a whole track(that may not be that popular anyway) would take guys off working on new ones. Atlanta Motorsports Park is the one track that I am super excited about getting 🙂 I think that track looks like one of the most fun tracks ive seen. Also, Oval content can not come quick enough imho. None of the sims I have do oval content properly, if at all. And im hoping RF2 can fill that void and do it well. Does anyone know if proper SLI support is already implemented? NO. But disable both reflection settings and you will see both gfx cards reach their max load and as a result your fps skyrocket! I’m using this workaround for now and probably will be for a long time to come..